Fall is the best time of year to workout outside—the cooler temperatures make it more bearable when you work up a sweat. Try these fall workout tips and tricks to ramp up your workout routine when the temperatures start to drop. If you are working out in the wee hours of the morning or in the evening, make sure to account for lower visibility. Since the sun is starting to set earlier, you need to make sure you can see and be seen, especially if you run along roads. New running headlamps with front and back lamps are even safer than options with only a front lamp. Even if you aren’t running, a headlamp will increase your sightline so you don’t accidentally scatter that pile of leaves you spent hours raking! Leaves and other floral detritus can be slippery, so wear proper shoes with good grip to avoid taking a spill. Lower temperatures mean fewer bugs, and hiking in the woods is much more bearable this time of year than in the summer. Depending on the terrain, not only can hiking be good cardio but hilly or mountainous terrain will also build up your muscles from climbing. 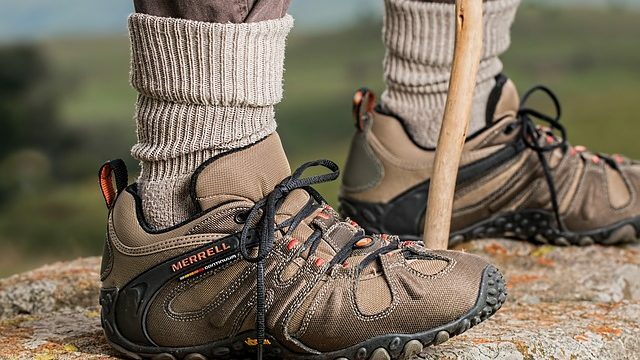 The added health benefit of hiking is mental—studies have shown that being out in nature has psychological benefits and promotes contentment and a general sense of well-being.